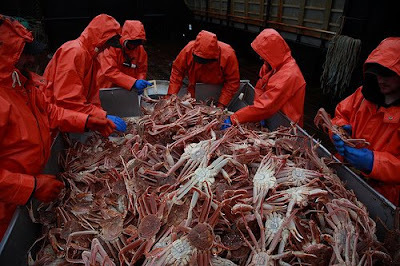 This is one of my favorite TV Show , The Deadliest Catch. I always watch every episode because it shows the hardwork and the danger of this kind of job. I was just wondering if these workers have income protection or Life Insurance because I heard in some of their interviews that they really lost people at work. There were accidents that was captured by the live camera but, some people were waiting and anxious to join the team. In fact, when they dock, they unload the crabs and they employ new workers. Some who could not catch up the risky job were fired. The show is pretty interesting and the workers love their job because the pay is really good.